A conference call should run smoothly. You do not want to lose time with complicated procedures and technical problems. The service and quality of newConference resulted in loyal and satisfied customers for more than 13 years. The real time control panel allows you to monitor and control your conference call. You can mute/unmute microphones, see who is talking, add or remove participants and more. Not only on your desktop: our website is fully optimized for mobile devices. That is why you do not need to install a dedicated app on your phone or tablet. NewConference is a conference call in the purest form. You do not need a computer; only a fixed or mobile phone. But when you need more we have it available! 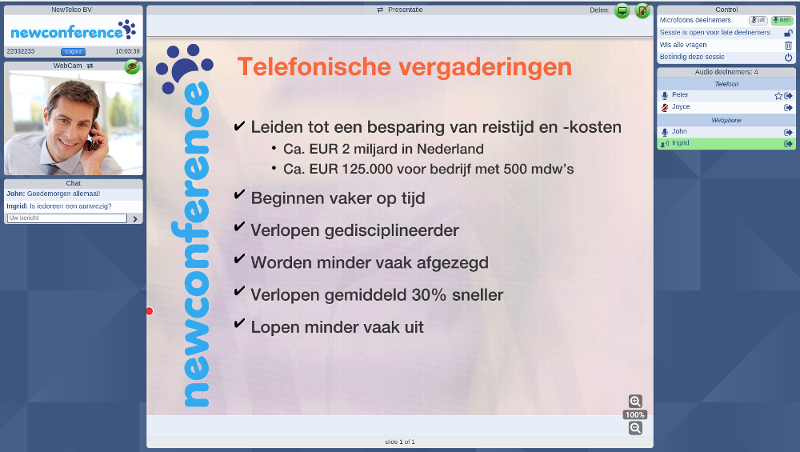 With newConference you have extensive webinar capabilities. Like sharing a presentation, webcam or desktop. Totally free. You can record your conference call and download it afterwards. Free of charge! NewConference offers local access numbers in over 40 countries. In many countries there are even multiple local access numbers. There are several ways for participants to join a teleconference without telephony costs: Dial-out, Call-me and web-Phone. We are happy to help you in person by phone or email. Our help desk mission is to handle any issue at the same working day. 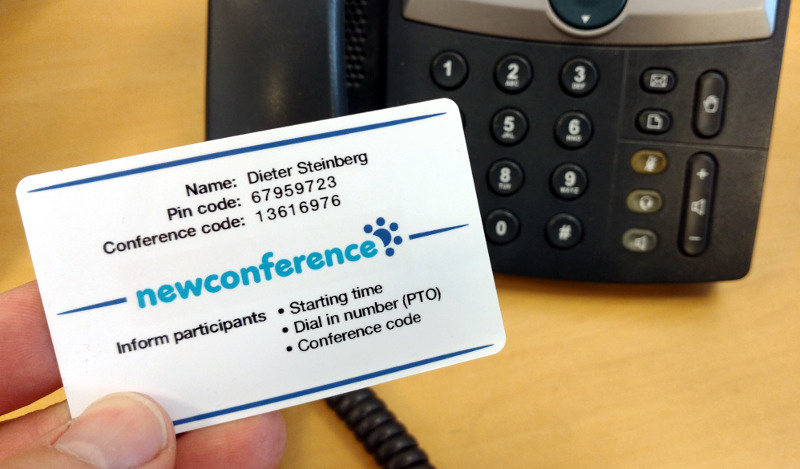 With the handy conference card, we provide you with all the information to start a conference call quickly and easily. 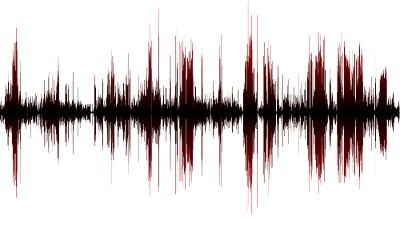 The newConference network is continuously monitored with end to end audio measurements. Assuring the best audio quality for you. Our infrastructure is redundant resulting in an availability of nearly 100%. Our challenge is that you want to be a customer and remain one because you are satisfied with our services. And not because you're chained to a long term contract. That is why we do not do that. You can stop using newConference any time you want. You are and will remain free.